Grand Mercure Puka Park Resort is a secluded hideaway located at Pauanui Beach. Situated 800m away from the 3km long sandy beach and nestled into the slopes of Mt. Pauanui select from 48 romantic chalets surrounded by native bush. Our Restaurant offers an intimate ambience, superb local cuisine and beautiful views, while other facilities include an outdoor swimming and spa pool, gym, tennis court and bikes for hire, with an international 18-hole golf course and excellent fishing nearby. 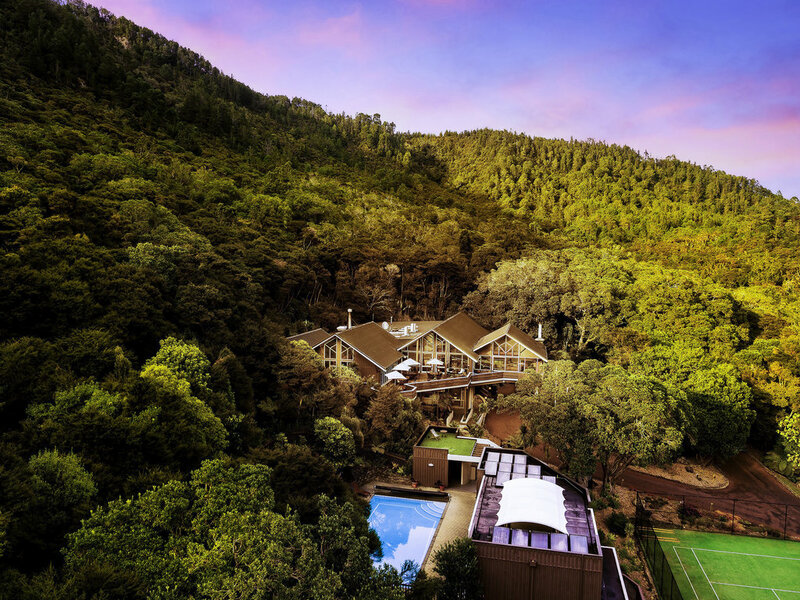 Grand Mercure Puka Park Resort is a secluded 4.5 star resort located at Pauanui Beach on the beautiful Coromandel Peninsula. Featuring 42 private chalets, the resort is nestled on the slopes of Mt Pauanui only 800m away from the pristine beach. Enjoy the beauty of the New Zealand bush and choose from one of the 42 chalets all nestled into the native fauna. The terrain is steep in parts therefore please advise at the time of booking if you have any special requirements. Miha Restaurant is renowned for delectable cuisine and intimate ambience, enjoyed inside or outside on the deck. Miha offers a la carte dining for breakfast, lunch and dinner, with a large wine list and attentive staff. With beautiful bay windows providing stunning panoramic views across the Coromandel Ranges and Pauanui Beach, the House Bar is the ideal place for a relaxing drink after a fun-filled day.